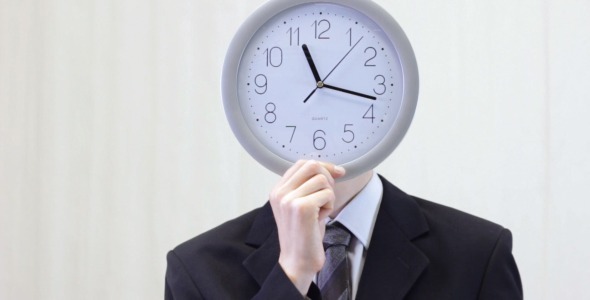 Is your company wasting time on unnecessary tasks? Many tasks that were once important can now be outsourced or replaced with technology, but many business owners continue to perform them out of ritual. Here are just a few common business tasks that could be a total waste of time. If you’re often travelling around the country for meetings, it’s likely that you’re not only spending a lot of time travelling but also a lot of money on fuel/public transports costs. Cut out the time spent travelling by hosting meetings via video communication instead. This could allow you to hold meetings with people on the other side of the world from the comfort of your office. There are many popular types of video software such as Bluejeans that can allow you to communicate with multiple people in multiple locations at the same time via video. On top of meetings, you can use this medium to host job interviews, give presentations and even host seminars. Unless you really want to get out of the office, you could be wasting your time with in person meetings. It’s possible that the very meetings themselves could be a waste of time. Whilst there are certain times when meetings can be the best way of conveying information amongst a group, a lot of meetings are simply progress catch-ups that could be solved with a simple email. A good meeting should aim to solve a problem. Make sure that there’s always an agenda and that you’re not just hosting a meeting for the hell of it. Why waste time travelling to the shops when you can order supplies online? Even with the cost of postage added, you could find that many of these supplies online are cheaper. You may also be able to find more specialist supplies such as HP 302 ink or a specific type of paint. On top of this, you can often buy supplies in bulk from an online store, which you may not be able to do from a local shop. Unless you need to go into town anyway for personal items, order these items online to save you time. This is another case of unnecessary time spent travelling. Most companies no longer accept cheques, because they’re time-consuming to process – you need to take them to the bank and then you need to wait for them to be processed. You could argue that cash is just as time-consuming as this often has to be taken to a bank, however with cash there’s no chance of it bouncing as there is with a cheque (this could then result in extra time chasing up the payment). Say no to cheques and you could spare yourself from this inconveniences. Sending information via physical mail. Most people have an email address nowadays. When it comes to letters, bills and other text-based information, don’t waste your time on postage. 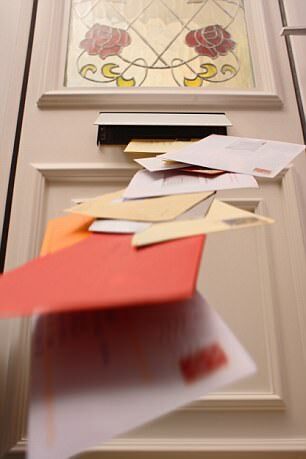 Not only do you have to print and post the mail manually, you then have to wait extra time for the information to be posted to the recipient’s address. An email can be delivered in seconds and is a much faster way of communicating. It’s also a lot cheaper than sending a physical letter. There may be important reminder bills that you prefer to physically mail in order to get them read by the recipient, but when it comes to the bulk of information, you’re generally better off emailing it. If you’re still manually calculating your own taxes and expenses, it could be time to start using accountancy software such as Intuit QuickBooks. Not only could this software speed up the whole accounting process, it could also prevent accounting mistakes caused by human error. Many small companies now use software to automate their bookkeeping – whilst there could be certain subscription fees, it’s often worth the time spared and the added accuracy. Another option could be to hire an accountant to handle this process. By outsourcing this task, you could similarly free up time and leave it in the hands of more capable professionals. This is recommended with larger and more complex companies. Many of us spend huge amounts of time answering unimportant phone calls including general inquiries and sales calls. These calls can sometimes interrupt other tasks and slow down important work. Of course, that doesn’t mean you should stop answering the phone, however it’s possible that you could outsource this task to a phone answering service. These services can help to answer calls for you, relaying only the most important calls and information to you. Not only could this save you huge amounts of time, but it could also ensure that the phone always gets answered – which could be useful if you’re often out of the office. There could be other tasks that you’re wasting time on by handling them yourself. Many repair jobs are best places in the hands of technicians, whether it’s repairing a computer fault or a leaky pipe – even if you think you know what you’re doing, consider the time wasted by fixing these faults. Meanwhile, you could consider outsourcing other business tasks such as marketing, recruitment and HR duties. Consider the tasks that take up the most of your time and the tasks that you are least proficient at – these are the most suitable job for outsourcing. By allowing someone else to take care of these tasks, you could have more time to spend on the core duties of your business.